Check out our auction on eBay--see what 99 cents might win you! Books are in very good condition. 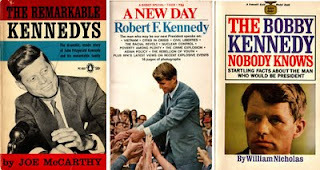 Clean, solid, unmarked save for a couple of notes on the title page of the "Bobby Kennedy Nobody Knows"